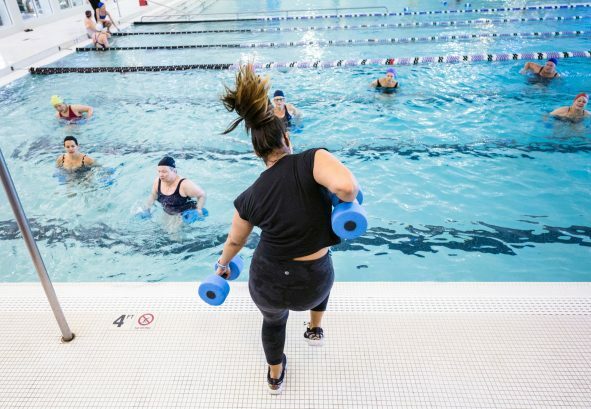 Choose from over 70 result-driven group exercise classes each week to design your perfect workout schedule, all included in your membership or day pass. 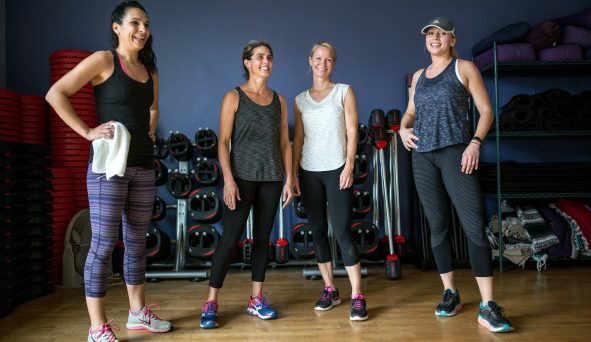 Classes vary in style and technique and cover all levels and core areas of fitness including strength training, stretching and flexibility, cardio, and more. 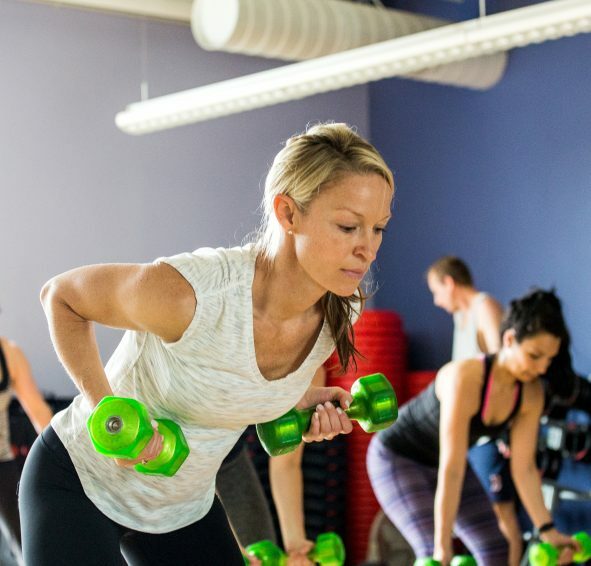 Take advantage of your favorite instructors and classes in a group setting to keep you motivated. Core workouts are vital elements of fitness. Variety makes it fun, using creative core moves keeps it more challenging. An ab-centric workout with a twist! Improve the strength of your midsection in this 25-minute class. Create and define your six-pack with an arsenal of waste whittling exercise. 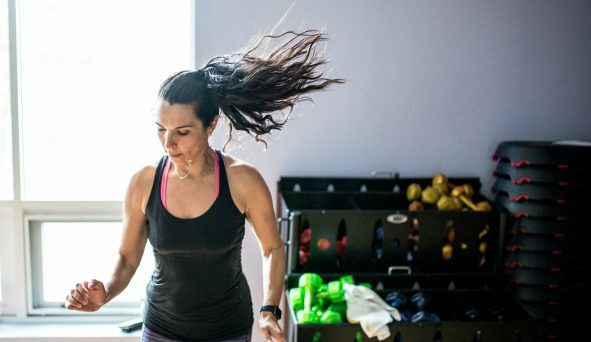 Get ready to sweat in this advanced, high energy packed class with interval training, plyometrics & much more! If you like Insanity and P90X you’ll LOVE STEAM! A ½ hour version of your favorite Steam class. A group physical training that mixes traditional calisthenic and body weight exercises with interval training and strength training. An interval style non-choreographed class, inspired by MMA Training. A mix of kickboxing, cardio and body weight conditioning; a great workout, that anyone can do! Train like an MMA Fighter and scorch the calories! Resistance Endurance Power – A Full body workout using all the tools. 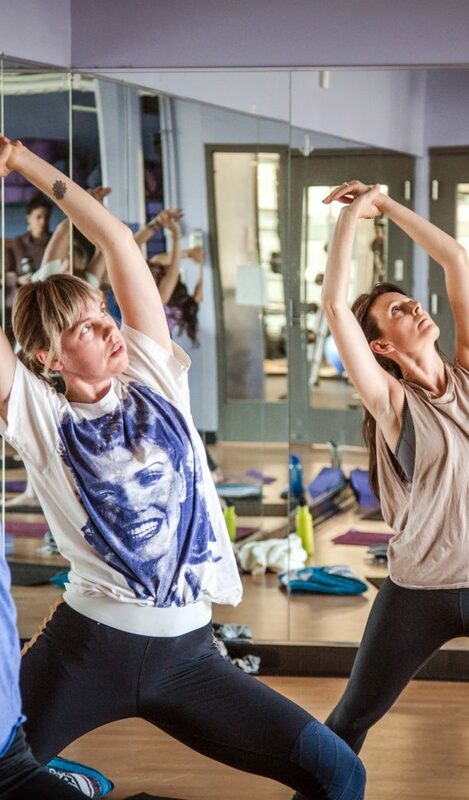 This advanced class will leave you sweaty and invigorated. If you like Steam, you'll love REPS! This class covers it all - cardio, strength training an core work. This total body workout is the perfect start to your day! A full body workout for the Active Adult, utilizing light weights to improve muscle strength and bone density. Increase your energy, stamina and balance with mobility and functional movement. 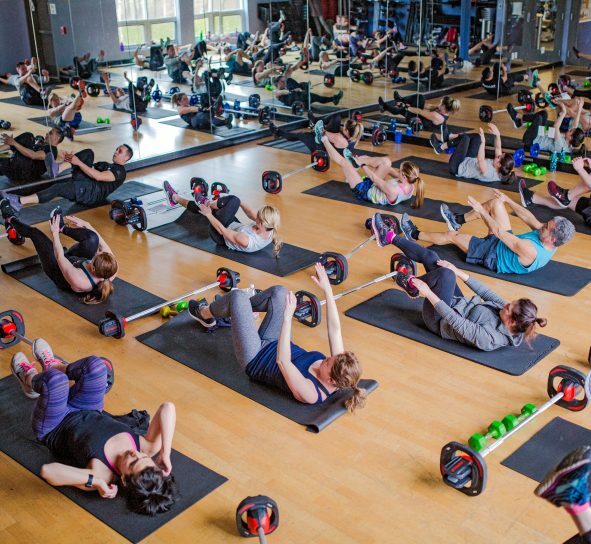 An intermediate to advanced version of "Everfit" class. Measured and monitored strength, cardiovascular and core training session. Workout is primarily in the seated position to offer safety and success for participants at low physical function. Includes strength-building exercises, and promotes balance and mobility. The practice of letting go of our resistance to change through dynamic relaxation, energy cultivation, conservation and self-defense. This class will cover basic stretching and warm-ups followed by a selection of beginning Tai Chi postures. A 45 Minute Stretching and Flexibility session to help you gently target and relax those tired muscles. It’s all about fluid movement. A fat burning mostly seated workout. This 30 minute long cardio workout is designed for those with limited mobility, recovering from an injury who need a fun, energetic, higher intensity chair workout! Enjoy! Vinyasa translates as, "to place with care", and yoga translates as "to yoke". This flowing practice is defined by the movement from one posture to the next using pranayama (breath), and dristhi (gazing point). Open to all levels of practitioners, you will build strength and flexibility, and challenge yourself during this 60-minute practice. Focus and calm the mind with traditional yoga poses, basic stretches and relaxation exercises designed to strengthen and tone the body. Finding your power "within" is as important as the external power you display. You will build core strength, self-esteem, flexibility & endurance in this challenging 60-minute yoga practice. Faster pace than Vinyasa yoga, be prepared to sweat. Develop strength from your knees to your chest, tone your body and feel better about yourself. Build internal heat, work with your breath, and develop your personal power. Challenging and sweaty; a mixed level class. A beginner/intermediate level of yoga, focuses on a wide variety of postures both gentle and intermediate. This class helps students to develop breath awareness and control while moving at a moderate pace. Great for active aging participants. Safely stretches, strengthens and tones the body while alleviating some common discomforts of pregnancy. Our certified prenatal yoga instructors, guide and prepare bodies and minds for labor and motherhood in a nurturing, friendly environment. Students have a chance to bond with their babies in utero and develop connections. No previous fitness or yoga experience necessary. The class is free to all expectant women. Classical mat-based Pilates, a total body workout emphasizing core strength, muscular length, strength and flexibility. A challenging class across the spectrum from athlete to novice. Train in the deep end wearing a flotation belt to experience this program. Alternate between high and low intensity moves to increase power and strength, and improve cardiovascular endurance. 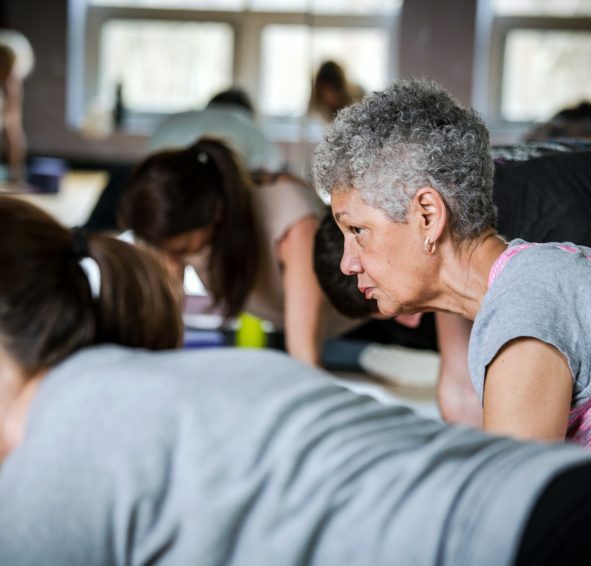 Tu/Th | 8:30 - 9:15am with Leslie S.
Influenced by Barre, expect mat work that will define the core, glutes and more! A choreography of Salsa, Samba and Latino style moves, mixed in a free style choreography to give you the best aerobic workout of your life. Take what you do in Zumba and add the party! Dance till you drop with, choreographed, music driven, Latin inspired Zumba dance. A full-blown Dance Party!! Classes are held in Studio 2 in back of Teen Center *Requires sign-up (available 30 min prior at Member Desk). An excellent workout focusing on endurance, strength, intervals, intensity and recovery to simulate a ride in real terrain. For all skill levels, an all-terrain adventure! Utilizes the Matrix Coach by Color Technology to push your cycling threshold to your personal max. For all fitness levels. 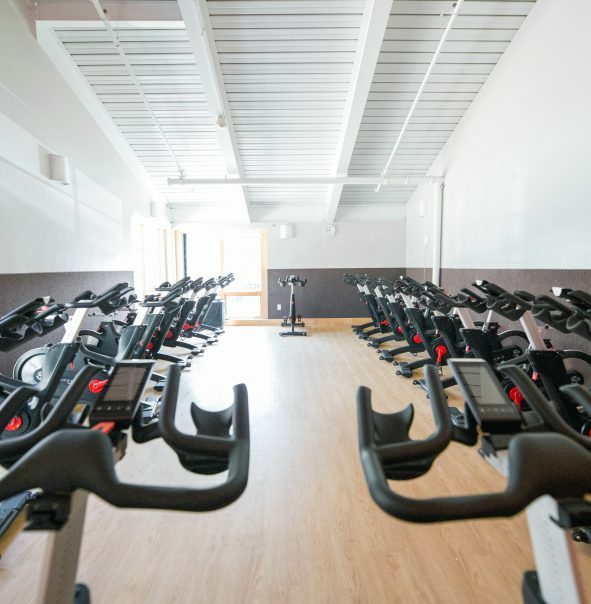 We recommend getting your personal FTW (Functional Threshold Watt) prior to class. Ask your Instructor for more FTW information. A beginner level suited to learn the basics of cycling. Perfect for new riders, seniors and rehabilitation. A Low-key Cycle workout that will still burn lots of calories. Come get in a smooth 45-minute ride. Climb, jog, sprint & dance for 45 minutes! A great fat burner using hand weights and core exercises!